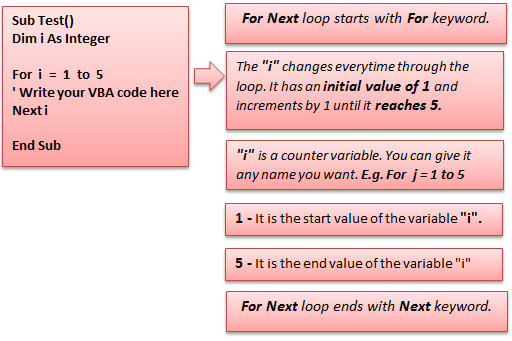 This tutorial will show you how to use FOR NEXT loop in VBA. It allows you to execute code repeatedly until a certain condition is reached. In the first loop counter, Range("A" & i) evaluates to Range("A"&1) i.e. Range("A1"). In the second loop counter, Range("A" & i) evaluates to Range("A"&2) i.e. Range("A2"). Then the range increments by 1 till fifth row. 1. The following code identifies the last used row in column C. 2 is substracted from the code because column C contains blank row and header at the beginning of the column. 2. In the first loop counter, Range("D" & i + 2) evaluates to Range("D"&1+2) i.e. Range("D3"). Then the range increments by 1 till last used row. You can increment counter variable by any value you like. 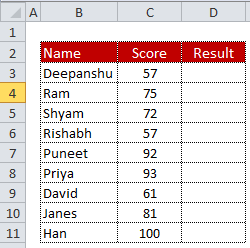 The Step keyword tells excel to increment counter variable by the specified value. 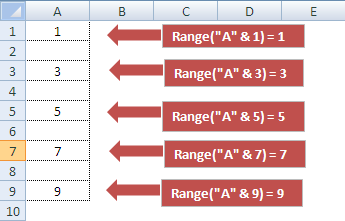 The Step 2 code tells excel to increment i each time through the loop by 2. 0 Response to "VBA : For - Next Loop"